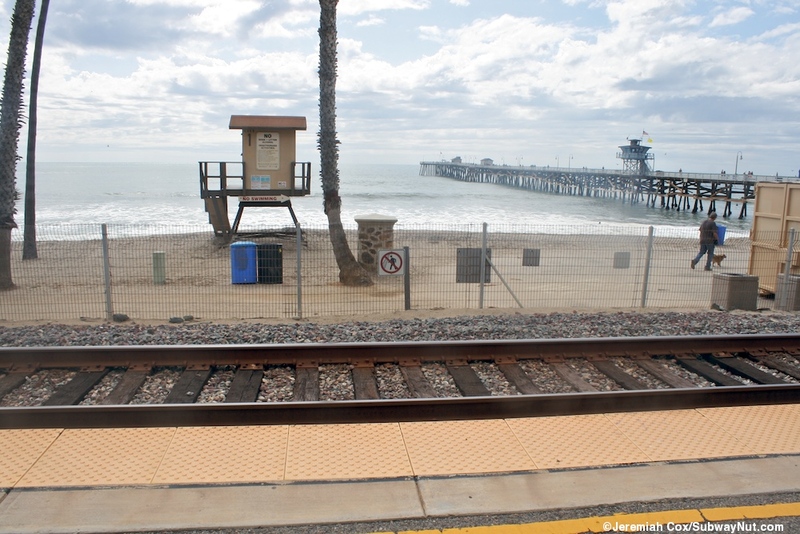 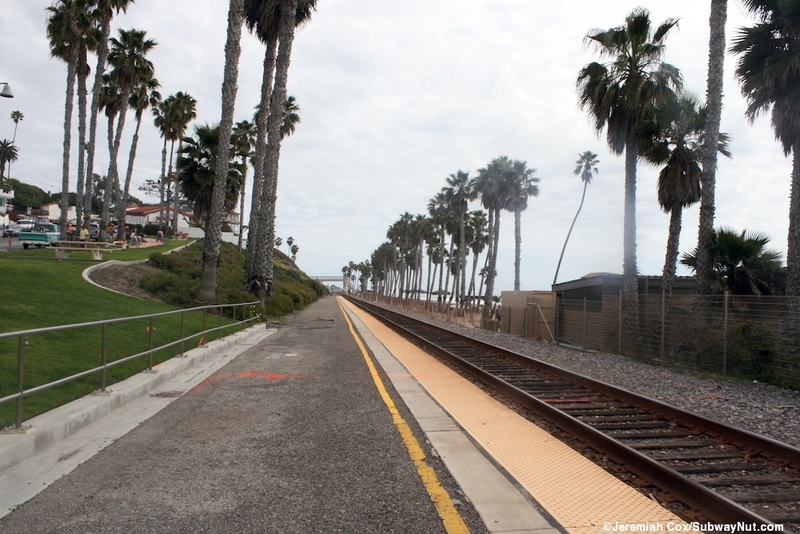 San Clemente Pier Station has been a station almost continuously for Amtrak's existence and is located just south of the Municipal Pier and serves day trippers going to the beach that the station is directly across from. 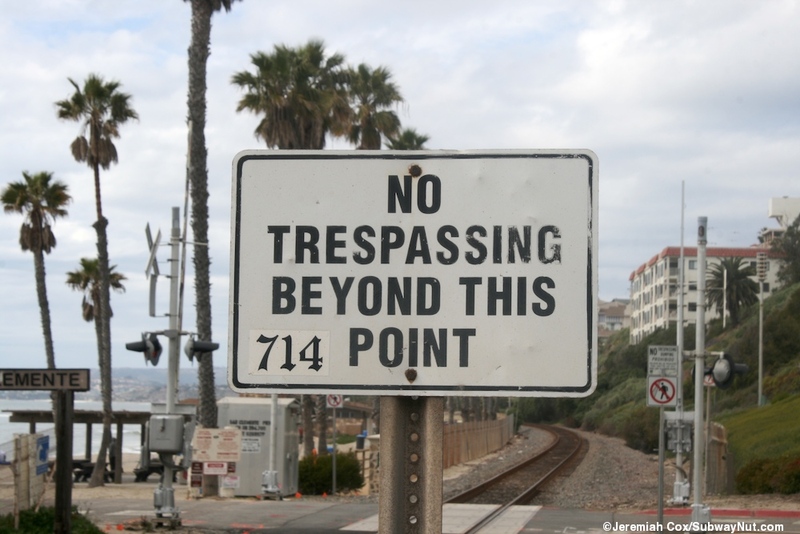 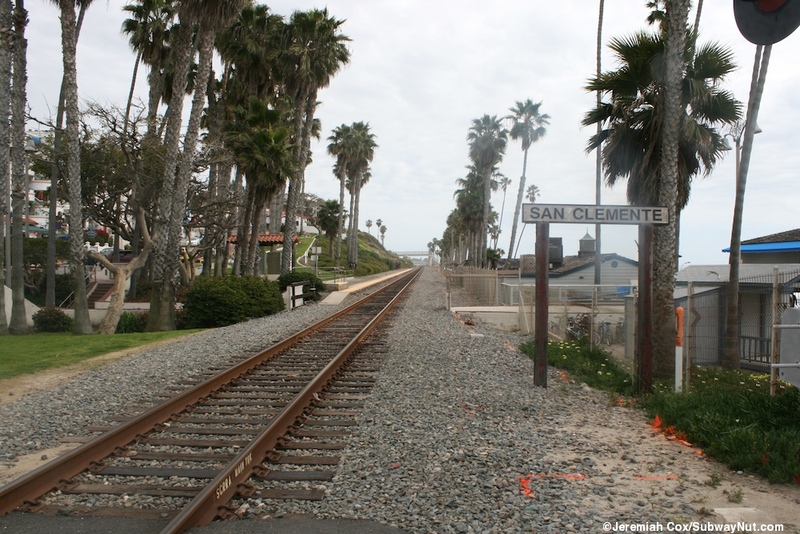 It is a little over a mile south by foot (using the beach trail) of the more substantial San Clemente (North Beach) Station used by Metrolink. 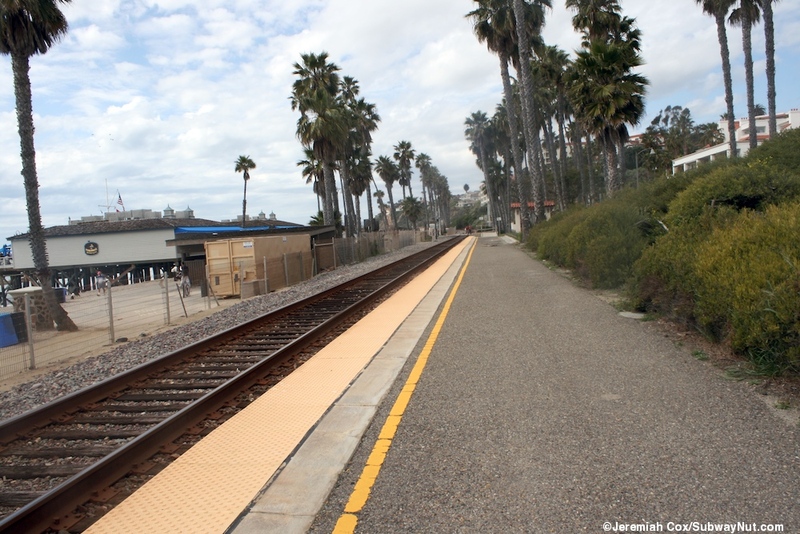 The station is the only stop on the San Diegan Route (except for Del Mar which was replaced by Solana Beach) to have less service today then it did with the creation of Amtrak in 1971 when all three daily trains stopped. 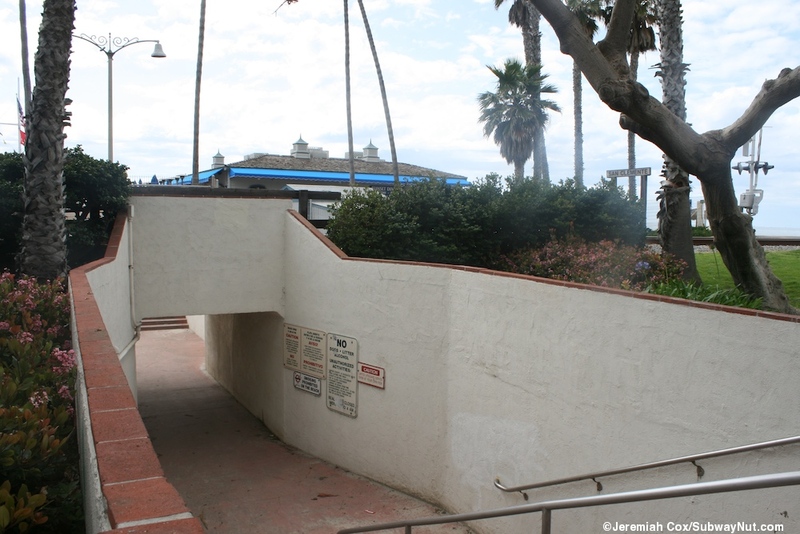 One trip was lost to San Juan Capistrano beginning in 1974 when that station reopened. 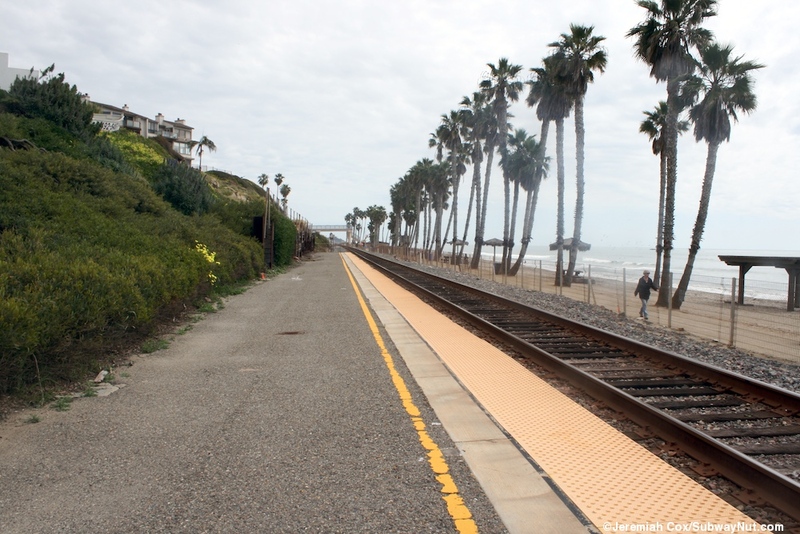 In 1984 just one daily train started stopping (still scheduled to bring beach goes from L.A. down in the morning and returning them in the afternoon). 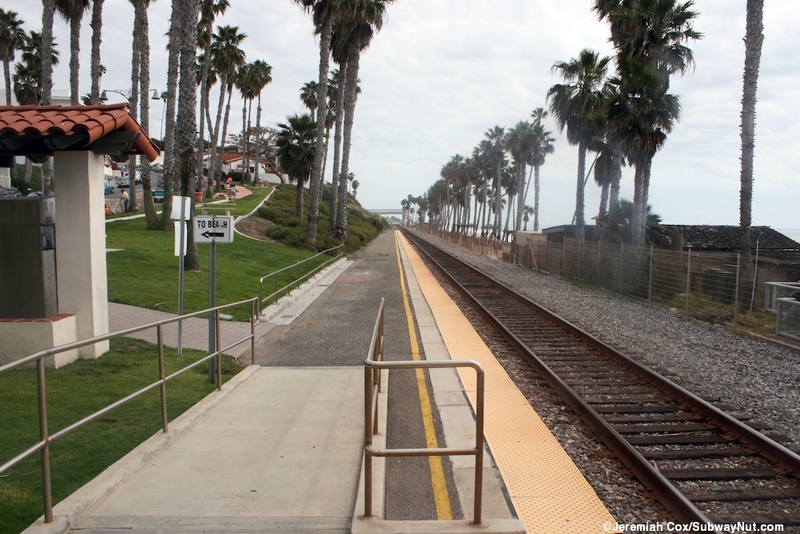 All daily service to the station was discontinued first in the November 1996 timetable. 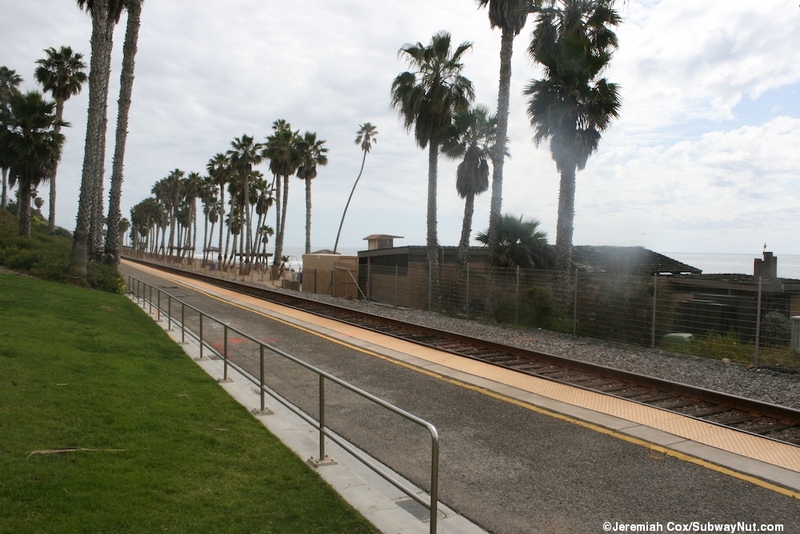 Amtrak's one daily train started stopping at the San Clemente (North Beach) Metrolink Station instead which opened in March 1995. 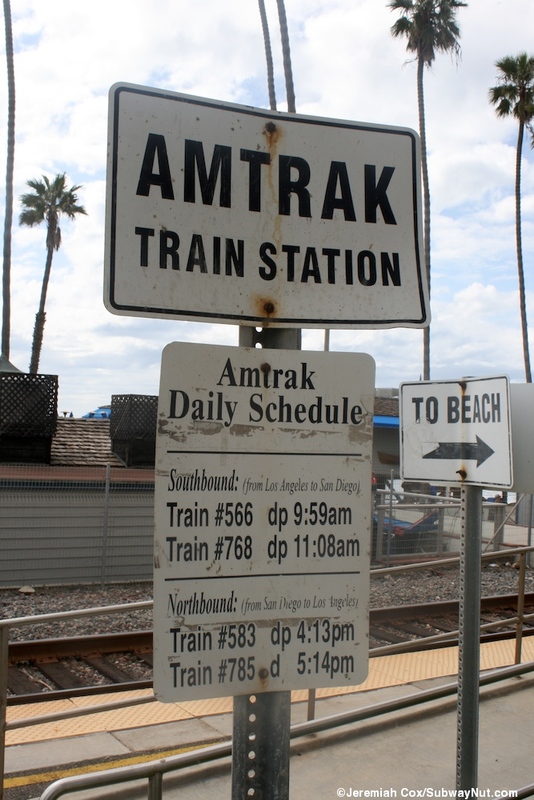 Amtrak service was restored beginning in the May 2000 timetable, now with 2 trains per day, and this same service amount exists today designed for beach goes from Los Angeles with two mid-morning southbound trains stopping and two late afternoon northbound trains stopping. 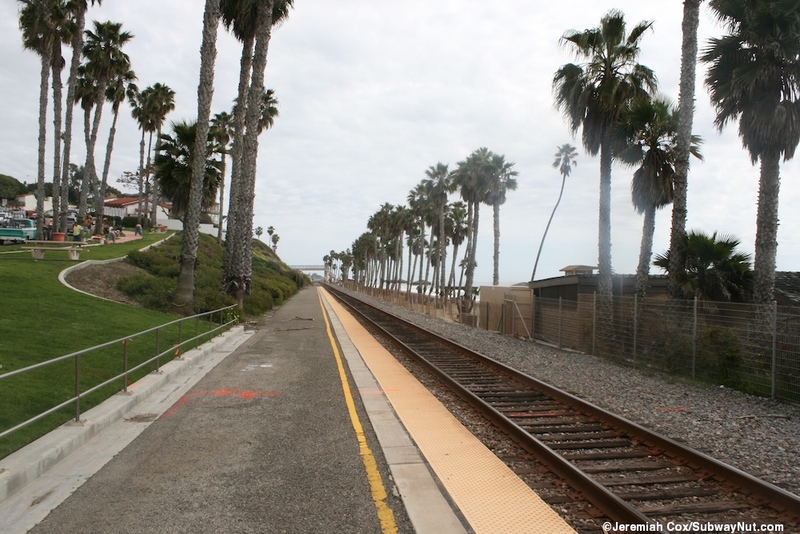 Metrolink presently serves the station on weekends only with the one weekend Indland/Empire Orange County train stopping at the Pier Station for weekend beach goes from San Bernardino and Riverside Counties. 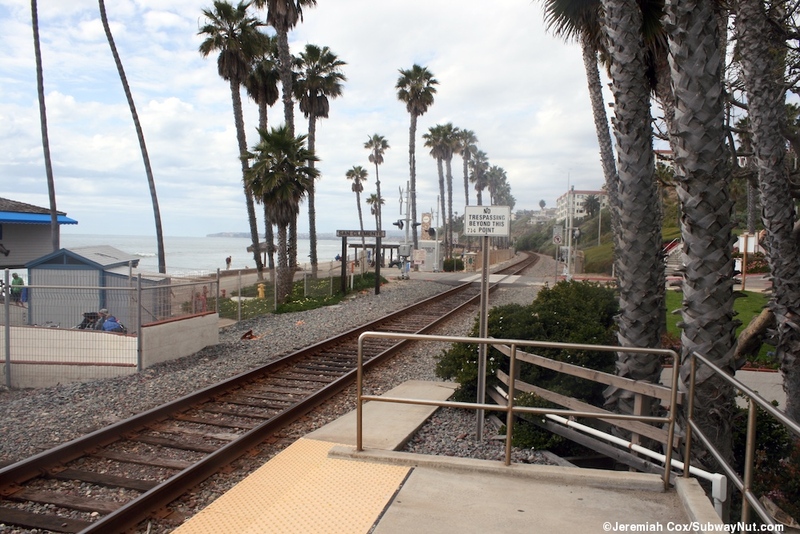 These trains first stated in 1996 as Summer specials with nine days of excision trips, some selling-out. 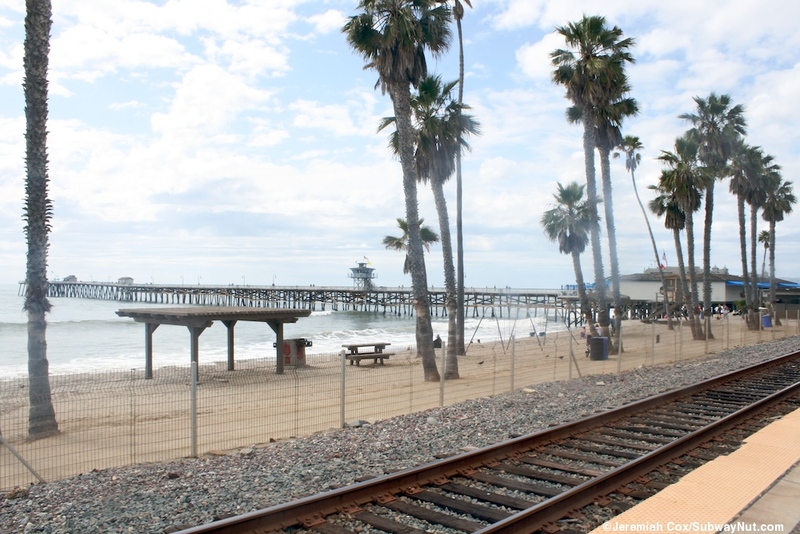 (Julie Fate Sullivan, "Inland Empire 'Beach Train' Building Steam", L.A. Times September 4, 1996, Link) When Amtrak wasn't stopping at the Pier these summer weekend specials were the only trains ever stopping at this station. 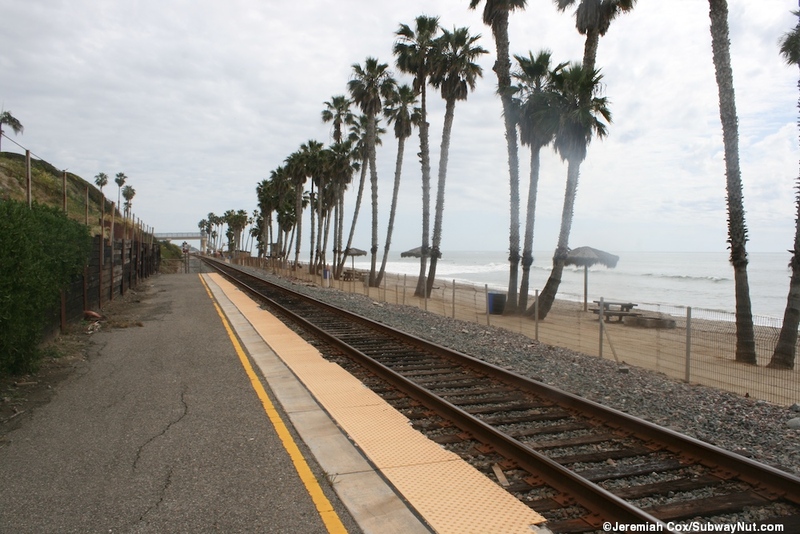 The beach trains became the year-round weekend Inland Empire/Orange County Line round trip operated today in the Summer of 2006 (Courtney Bacalso, "Beach Train service becomes permanent" Orange County Register July 14, 2006, Link). 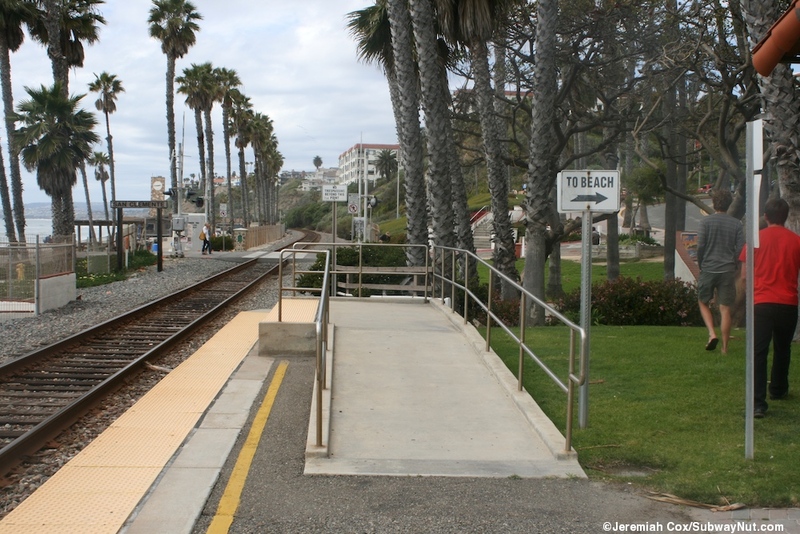 The station consists of a single uncovered concrete side platform that has received a tactile warning strip facing the beach. 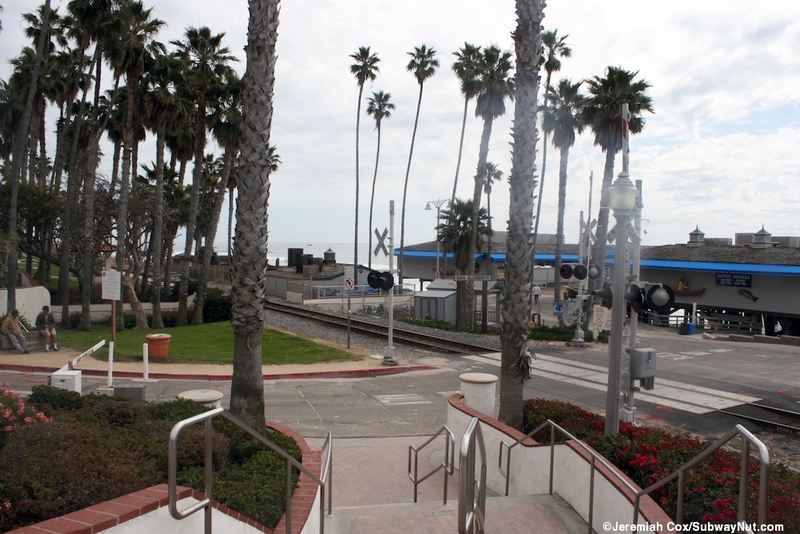 At the northern end of the platform is the Metrolink required ADA mini-high platform and station entrance. 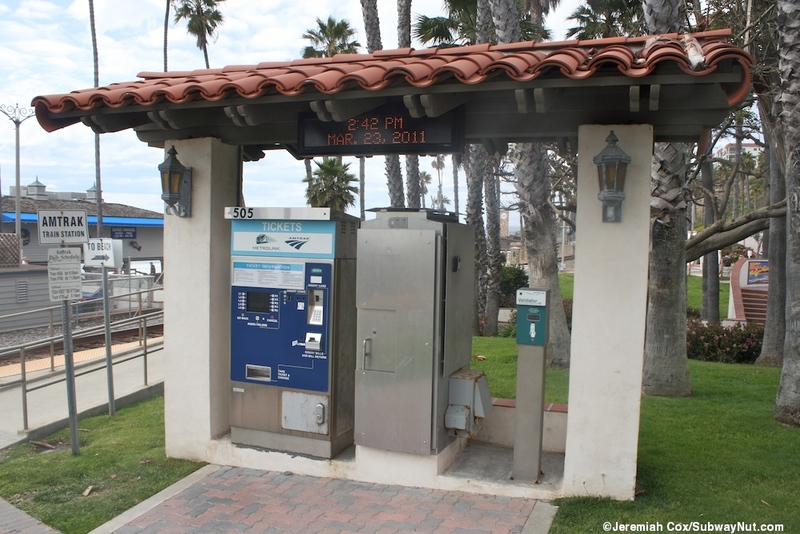 The only form of shelter is a small single canopy covering a Metrolink TVM and a Metrolink Ticket Validator and has an LED train information sign beneath it. 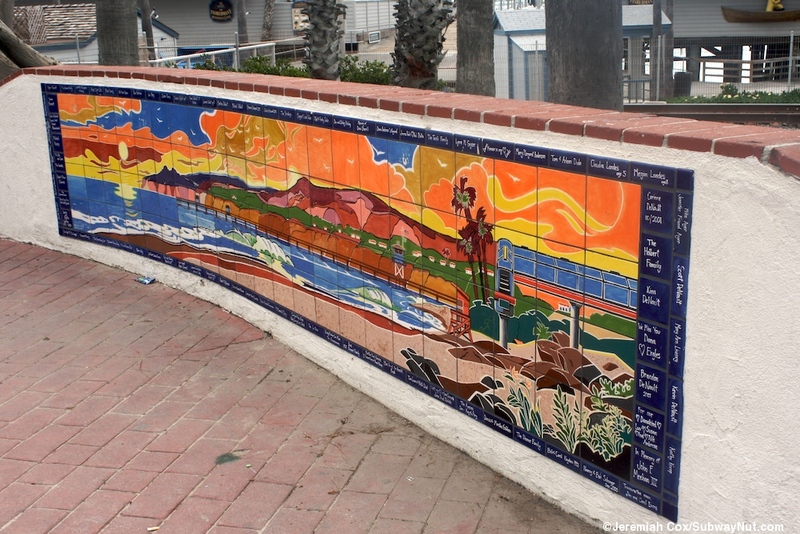 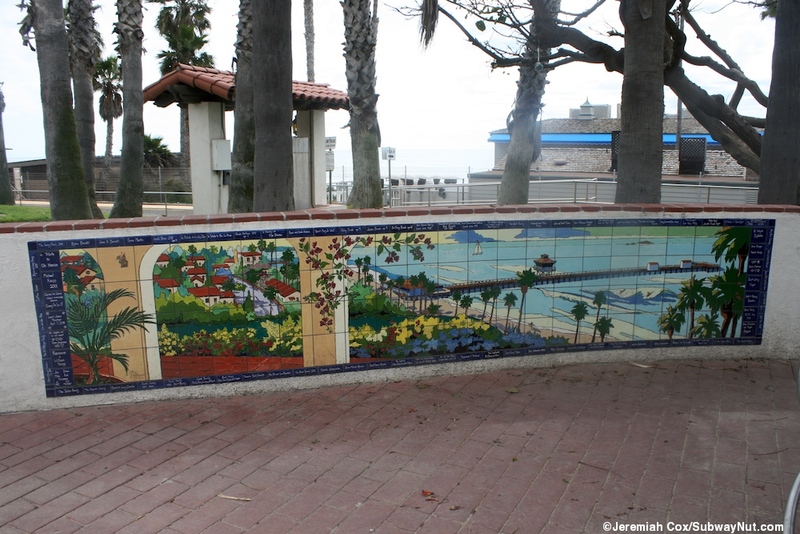 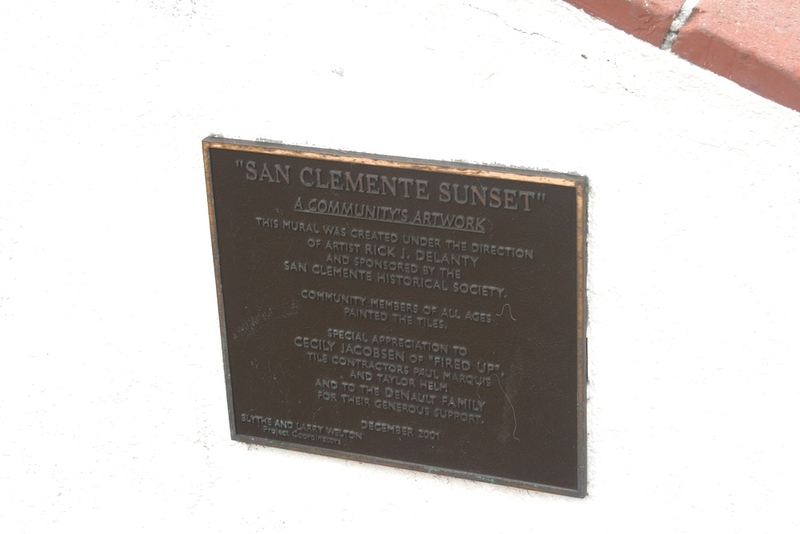 This leads to a walkway out to Avenida Victoria and a pedestrian underpass beneath the train track, the entrances to this pedestrian walkway are nicely landscaped and walls along the train track have 'San Clemente Sunset,' A communities artwork oversaw by Rick J. Delanty.